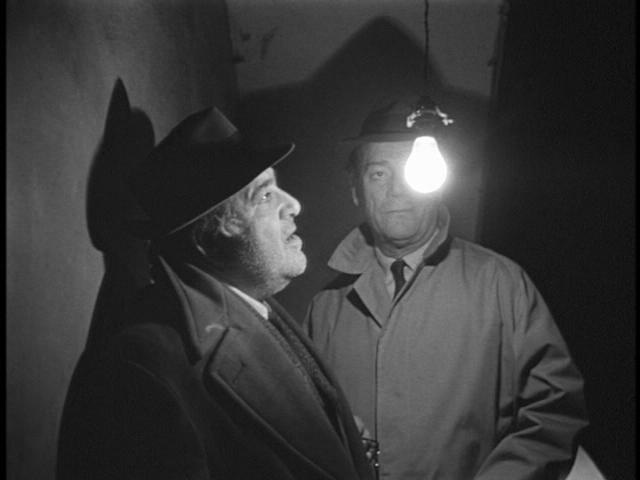 French films noir of the 1960s, and neo-noir (~1960–the present). To obtain a Pro- or Hauptseminarschein, regular attendance (no more than 3 absences), presentation and a critical paper (Proseminar: 1600-2000 words; Hauptseminar: 2400-5000 words on a film or films from the filmography or on some aspect of film noir) are required. Grade will be based on class participation (20%), in-class quizzes (20%), Referat (30%), papers (30%). Non-credit students are welcome at any of the screenings and discussions. Kracauer, Siegfried. From Caligari to Hitler: A Psychological History of the German Film. Princeton U. Press, 1947. Cameron, Ian. Ed. The Book of Film Noir. New York: Continuum, 1992. Conrad, Mark T. Ed. The Philosophy of Film Noir. Lexington: U. of Kentucky Press, 2007. _____. The Philosophy of Neo-Noir. Lexington: U. of Kentucky Press, 2009. Copjec, Joan. Shades of Noir. London: Verso, 1993. Crowther, Bruce. Film Noir: Reflections in a Dark Mirror. London: Virgin, 1988. Doane, Mary Ann. The Desire to Desire: The Woman’s Film of the 1940s. Bloomington, Indiana U. Press, 1987. Gorman, Ed, Lee Server, and Martin H. Greenberg. The Big Book of Noir. New York: Carroll & Graf, 1998. Hillier, Jim and Alastair Phillips. 100 Film Noirs. London: BFI, 2009. Hirsch, Foster. Dark Side of the Screen: Film Noir. New York: Da Capo, 2008. _____. Detours and Lost Highways: A Map of Neo-Noir. New York: Limelight, 1999. Kaplan, E. Ann. Ed. Women in Film Noir, London: BFI, 1978. Naremore, James. More Than Night: Film Noir in its Contexts. Berkeley: U. of California Press, 2008. Polan, Dana. Power and Paranoia: History, Narrative, and the American Cinema, 1940 – 1950. New York: Columbia U. Press, 1986. Silver, Alain and Elizabeth Ward. Eds. Film Noir: An Encyclopedic Reference to the American Style. Third Edition. Woodstock: Overlook Press, 1992. _____ and James Ursini. Eds. Film Noir Reader. New York: Limelight, 1996. _____ and James Ursini. Eds. Film Noir Reader 2. New York: Limelight, 1999. _____ and James Ursini and Robert Porfirio. Eds. Film Noir Reader 3: Interviews with Filmmakers of the Classic Noir Period. New York: Limelight, 2001. _____ and James Ursini. Eds. Film Noir Reader 4. New York: Limelight, 2005. Telotte, J. P. Voices in the Dark: The Narrative Patterns of Film Noir. Urbana: Illinois U. Press, 1989.